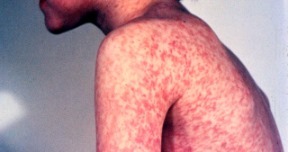 For information about the disease, see the measles page on this website. Immunisation given on time is the only way to prevent measles. If you're unsure about whether your child has had MMR immunisation, or you can't find your records, you can check with your Well Child Tamariki Ora provider or Well Child book, or contact your family doctor. Combined measles, mumps, rubella (MMR) immunisation is the only vaccine available to prevent measles in New Zealand. How effective is immunisation against measles? Approximately 90 to 95 in 100 people who receive one dose of MMR are protected. Those who do not develop immunity after the first MMR dose, almost always do so after the second dose. 2 doses offers the best protection. Who should have MMR immunisation? Children usually have 2 doses of MMR - one dose at 15 months of age and a second at 4 years of age. Babies and children who have not had their MMR immunisation are at greatest risk of the disease. Babies aged 6-11 months can have their MMR immunisation early if there is a high risk of exposure to measles (for example, travel to countries with serious outbreaks). These babies will still need MMR at 15 months and 4 years of age because MMR immunisation tends not to work as well in young babies. Many teenagers and young adults have missed one or both doses of MMR and may be unaware that they are not protected against measles. Check whether you're up to date with your MMR immunisation with your family doctor. People with an allergy to egg CAN have MMR. Who should not have the immunisation? Delay MMR if your child has a sudden severe illness with high fever (over 38 degrees Celsius). The presence of a minor infection is not a reason to delay immunisation. If you find out you are pregnant after having MMR immunisation, talk to your family doctor. But, research has found no injury to the unborn child when women have had MMR immunisation without realising they were pregnant. Who should seek more advice before having MMR? The risk of MMR causing serious harm is extremely rare. MMR is considerably safer than getting measles. See Measles complications vs side effects of MMR immunisation. Can the MMR vaccine cause measles? It can cause a very mild, non-infectious rash about 5 to 12 days after immunisation. Extensive research shows there is no evidence that MMR causes autism, Crohn's disease or ADHD. Does MMR contain thiomersal (or mercury)? The risk of MMR immunisation causing serious harm is extremely rare. MMR immunisation is considerably safer than getting measles. Check out a comparison of the effects of measles with MMR immunisation responses. A booklet (PDF, 951KB) with stories from parents who chose to delay or not get their children vaccinated against measles because of concerns about the measles, mumps and rubella (MMR) vaccine. For questions about measles, what to do if you have measles, and what to do if you have been in contact with someone with measles. More information about measles at the Ministry of Health website, including frequently asked questions and stories from parents who chose to delay or not vaccinate their children against measles because of concerns about the measles, mumps and rubella (MMR) vaccine. A poster aimed at young adults, encouraging them to check their measles immunisation status with their institution's student health clinic, or their family doctor or health nurse. It's free! To get immunised now, talk to Student Health or your family doctor or nurse. Not only children get measles. Protect yourself and your family. Produced by the Ministry of Health and the Health Promotion Agency. For questions on immunisation, vaccination-preventable diseases or a specific vaccine, you can contact the Immunisation Advisory Centre. Call free on 0800 IMMUNE (0800 466863), weekdays 9am-4.30 pm. The National Immunisation Schedule is the series of vaccines that are offered free to babies, children and adolescents (and adults). The schedule lists the immunisations and the age at which they’re given. Information for parents and others about how children and young people with cancer were affected by the measles outbreak in 2011. The section on measles in the Ministry of Health's 2017 handbook (updated March 2018) provides detailed information for health professionals and may be of interest to those parents who want more comprehensive information. This page last reviewed 01 April 2019.